BarnWood2GO is one of the most elegant yet easy-to-use peel-and-stick barnwood decorative planks available. Perfect for everyone from the DIYer to the professional interior decorator. We are constantly adding products to help you beautify and maintain your home. Please feel free to click around and explore our site. Let BarnWood2GO add character to your next renovation or building project. 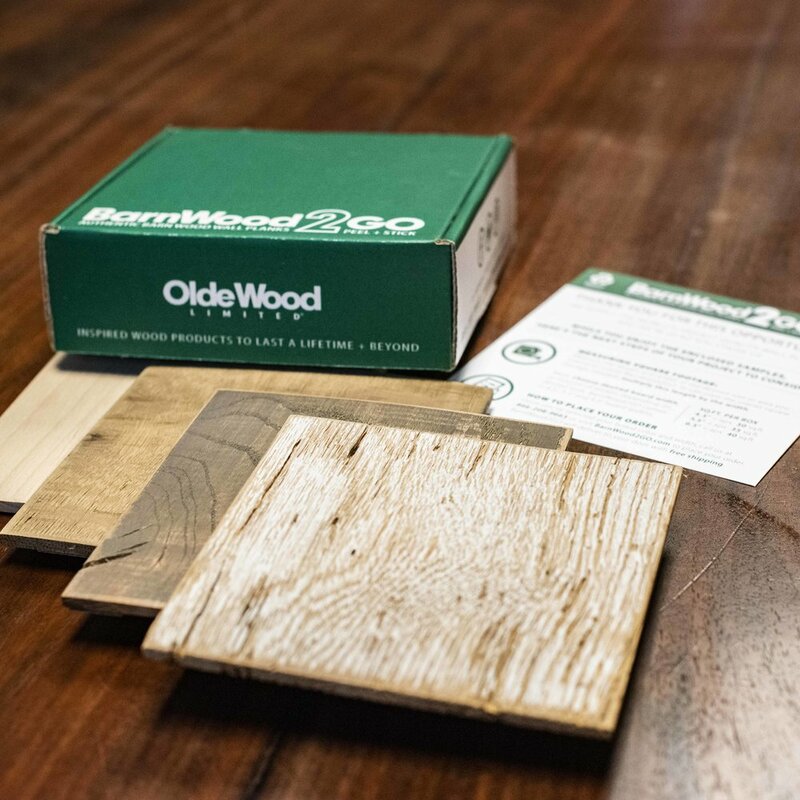 BarnWood2GO allows you to breathe new life into old barn wood materials through a variety of projects. Clean, elegant, easy. Add beauty and value to your home and ditch the contractor. The weathered look, the modern feel, do-it-yourself. This is what winning feels like. One of the hottest trends of the year: herringbone, delivered straight to your door, ready to install. Need to see it in person? You can build and order a custom sample kit free of charge. Just cover shipping.